Last month we conducted a Movin’ On Up poll asking readers which part of their career they plan to focus on this year. Check out the results below! Just over 18% of respondents indicated they want to get hired in 2018. How do you get the job? Hard work and dedication. If you are not currently employed, the job search should become your new full-time job. First, create a career development plan to organize your thoughts about the job search and where you want your career to go. Next, update your resume. Then, contact anyone in your network who might be able to help. Attend professional groups in your area that are related to your industry. Once you prepare all your tools and leverage your network, start the job search. Remember, you are one of many applicants. Your goal is to stand out above the rest. When you have interviews, ask pertinent questions to show interest. Do your research and know who the company is and what they stand for. Find out how you fit into the company culture. After the interview, write a handwritten thank you note. Not everyone does, and it makes you stand out. Coming in second place with 17% of the vote was aiming to get a raise. The hardest part of getting a raise you feel you deserve is figuring out when and how to ask for one. To eliminate the ‘when’ part of that equation, think about a raise the second you walk in the door. Set goals and track your progress toward those goals. Have metrics handy. Once you’ve met your major goals (and made sure the company isn’t floundering and the economy isn’t spiraling), ask. Odds are, given your incredible work history, your boss expects you to pop the question anyway. And as for the how? Be confident. Know what you want, and have a presentation planned that shows why you deserve it. Be kind and smile, but also get your point across. Bring visual aids that prove your success. Coming in third with 16% of the vote, “Updating My Resume” was another top choice. Everything starts with your resume. Do the words on the page paint an accurate picture of your experiences as they apply to the specific position and company you’re applying for? If not, it’s time to make some adjustments. Focus on meaningful accomplishments rather than a list of what you did. How did you benefit the company? Did you increase ROI? Cause a surge in viewers? Free up time in your managers schedule so they could make their deadline? If you don’t have any relevant experience, share your accomplishments and how they apply to the position. 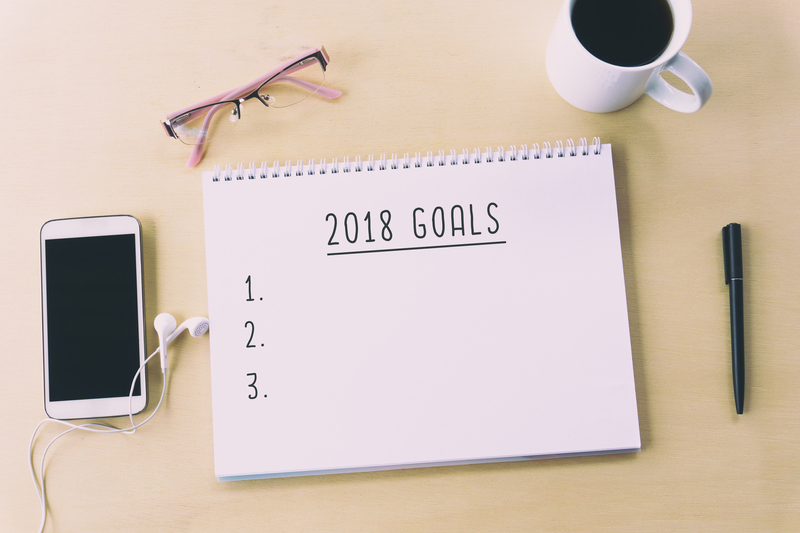 Anything else you plan to accomplish in 2018? How do you plan on doing it? Let us know in the comments section below!